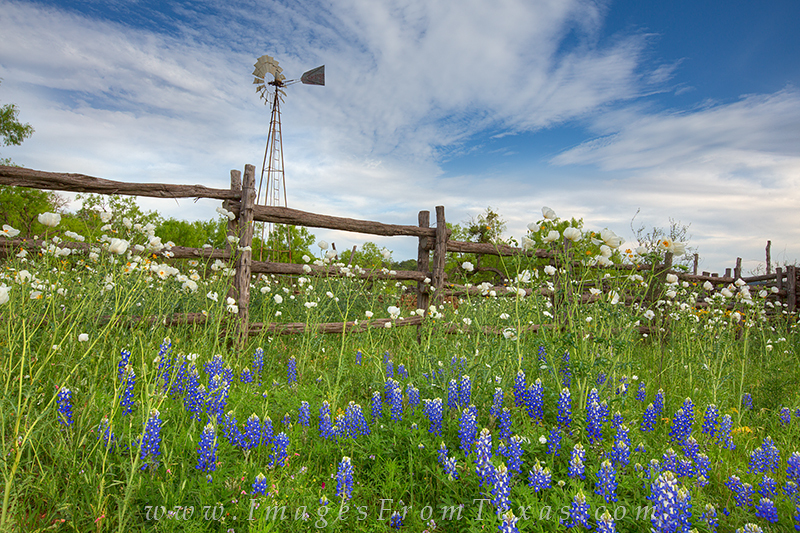 On a road less traveled, this windmill sways with the wind over a wooden fence, white prickly opppies, and beautiful springtime bluebonnets. Moments and undiscovered gems like this make the treks across the Texas Hill Country worth the time and effort. Photo © copyright by Rob Greebon.